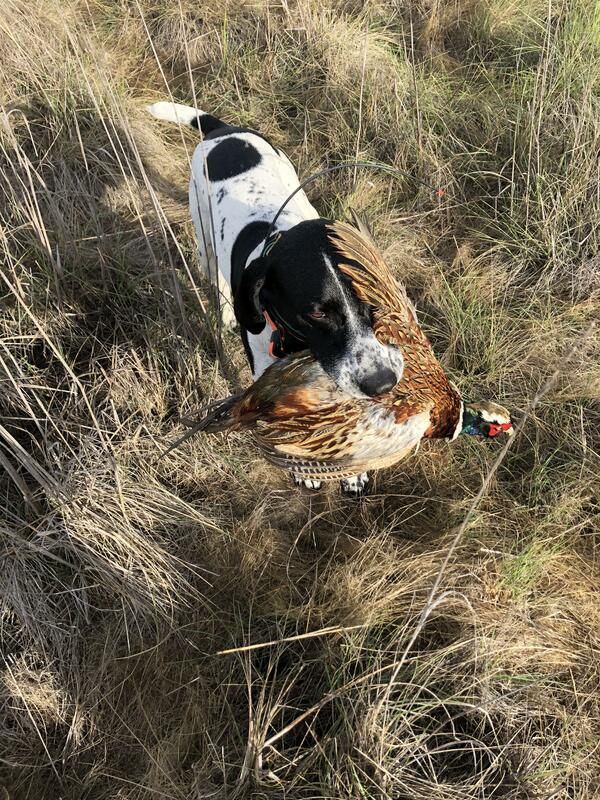 Tom Mattusch’s GSP, named Elvis, retrieves a pheasant at Birds Landing in California. 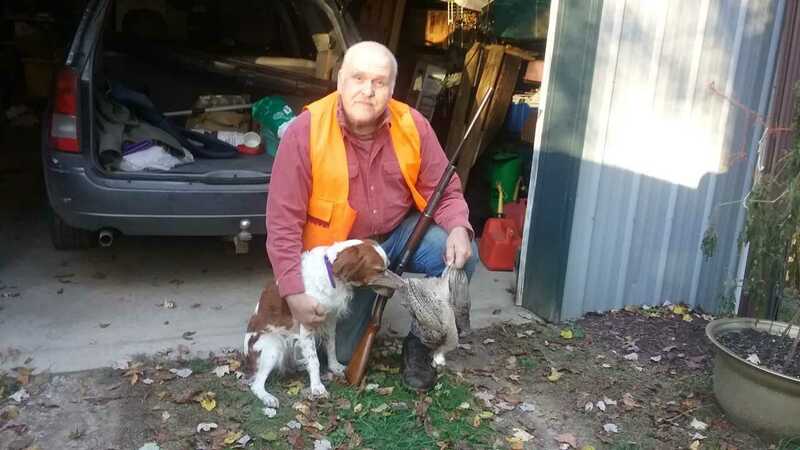 Mr. Perkins , a pheasant, a chukar, and a 95 yr. old 16 ga. Winchester 2 1/2″ Model 12. Sweet old shooter! 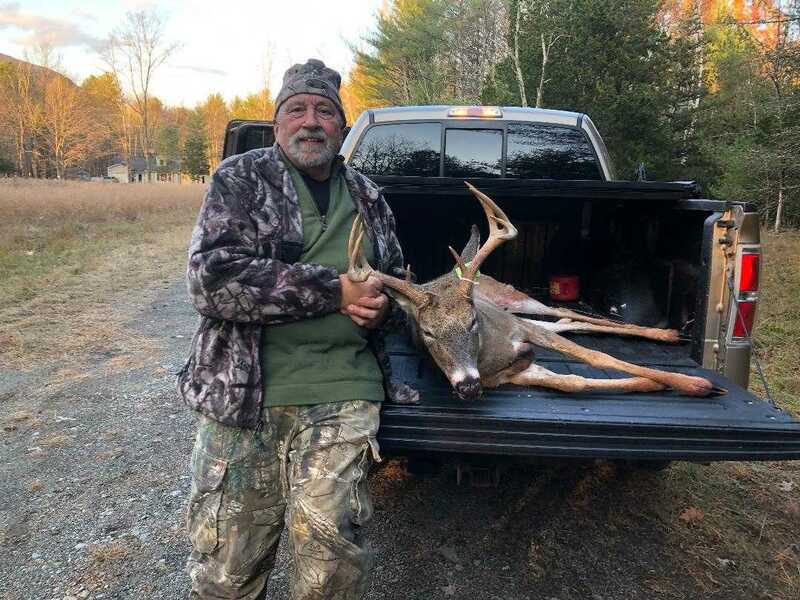 Ben Kohler took this great 10-point buck with his Carbon Express Crossbow with Rage broad heads in Nov 2018. 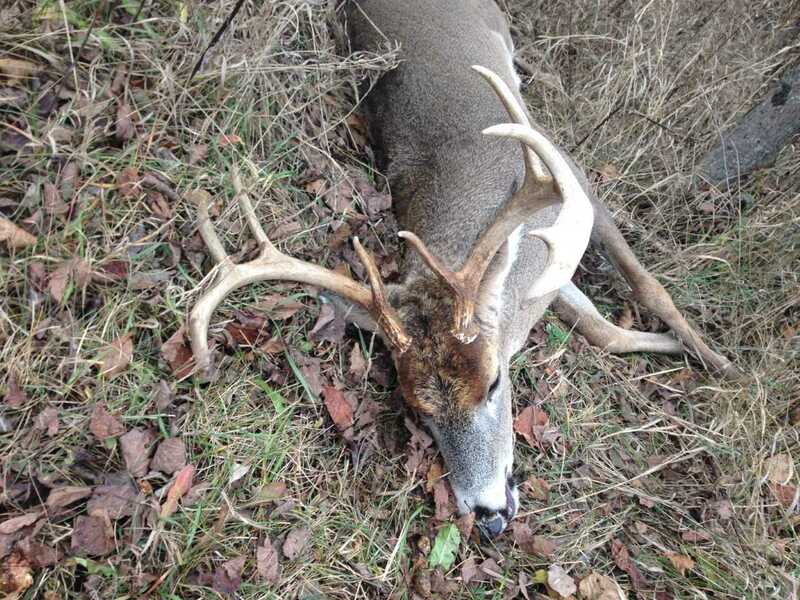 This is his biggest buck that he’s taken to date! 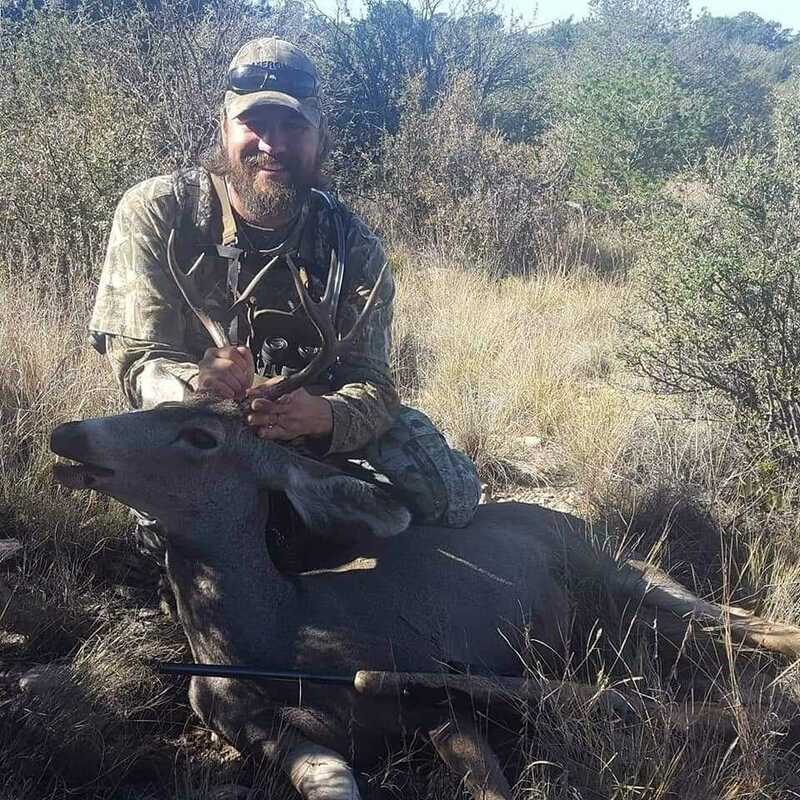 Tim Brown took this 3×3 AZ Mule Deer on the second morning of his rifle deer hunt. 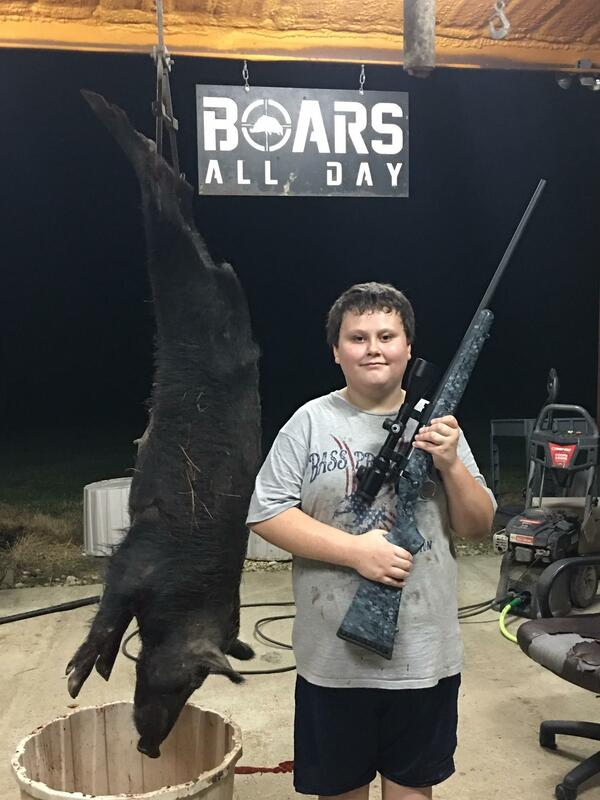 John Macha took his first ever hog during a birthday hog hunt. Way to go! 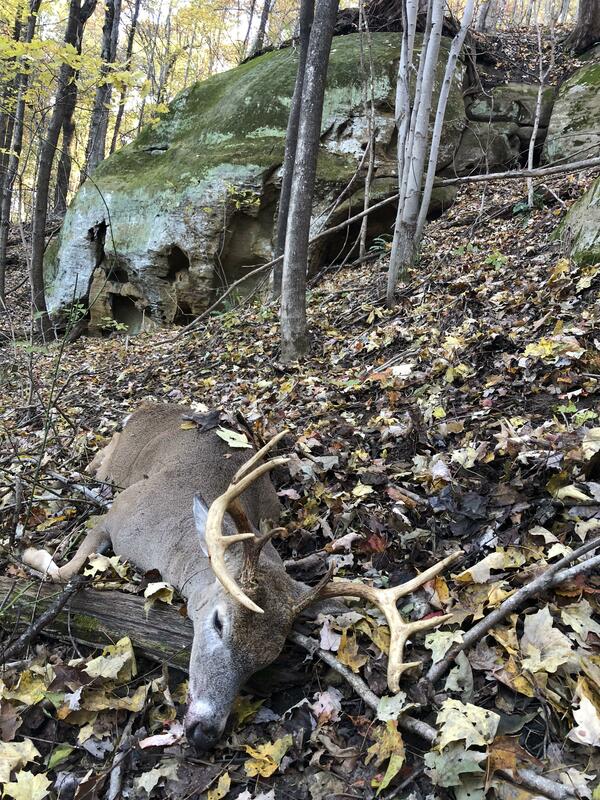 Chris Farver took this deer in Southern Ohio with a crossbow in November 2018. He plans to mount it himself! 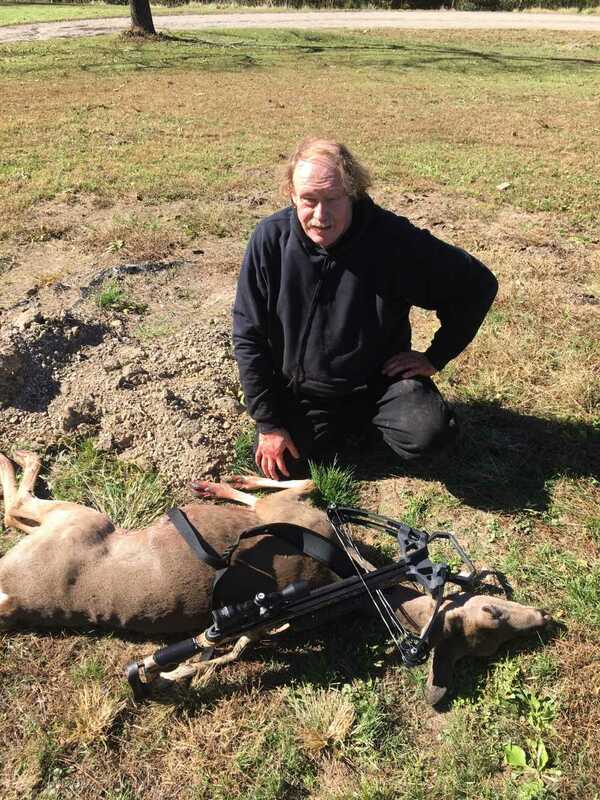 Dave Dennis took this doe with a Barnett Whitetail Hunter 2 crossbow in Brown Co., IN during October 2018. Stacy James took this bear in Ontario, Canada on August 22, 2018. 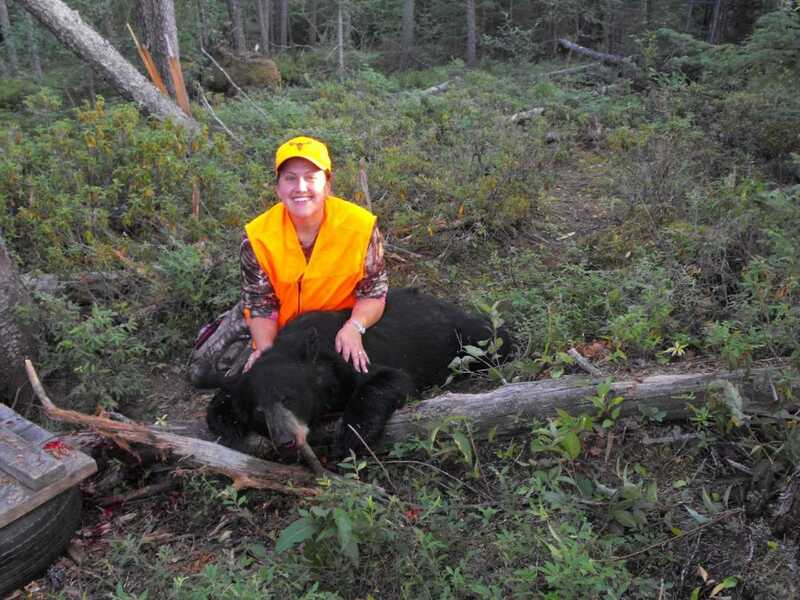 This photo was taken at Selwyn Lake Outfitters outside of Ignace. 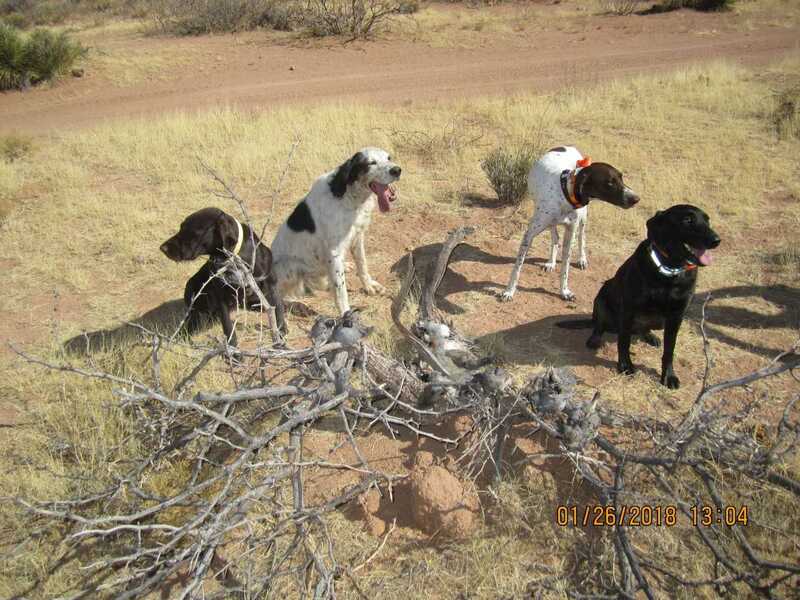 Wayne Wilson’s GSP Abby with friend’s dogs after a good day hunting desert quail.